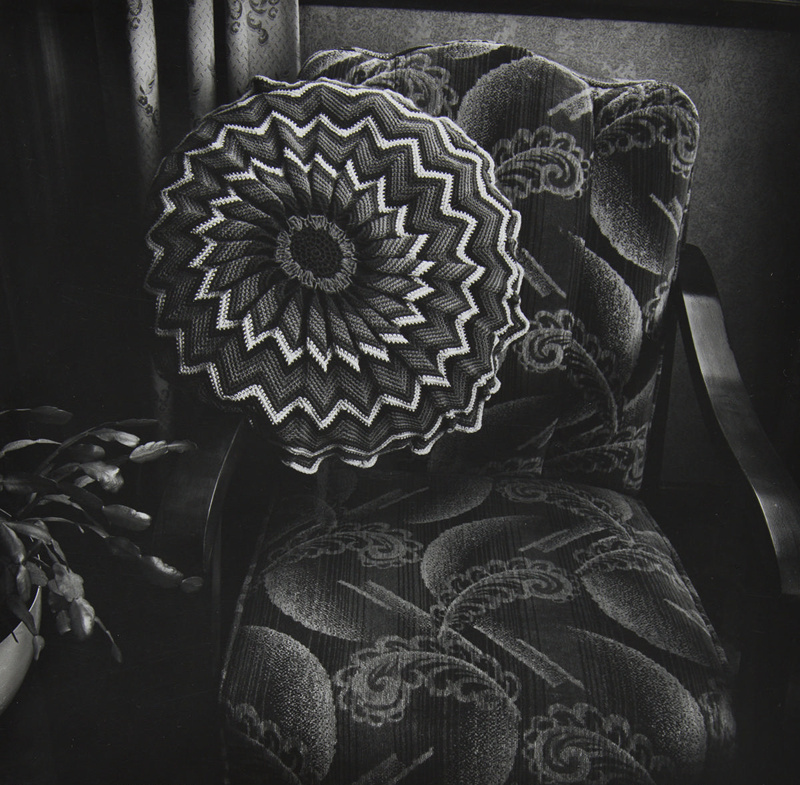 About this objectChair with paisley design upholstery and a cushion with a circular design. The chair has wooden armrests. A plant rests on a nearby table.